Today I’m sharing another homemade condiment recipe. Healthier, no factory-infused chemicals, preservatives and artificial flavors. It always seems a bit suspicious, doesn’t it? Have you ever questioned how it can stand on a shelf at the grocery store for long periods of time without going or tasting bad? I do. An air-tight seal is a component, but I don’t think that is all. This is why I prefer homemade ranch that I can feel better about. I am sharing this recipe with you all so you may enjoy this cleaner, healthier, tasty and fresh dressing on your salads, dips, etc. 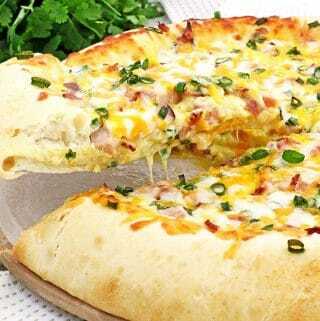 Made with only a few simple ingredients and tastes amazing. As I’ve said many times, homemade is always best! Enjoy eating CLEANER. 1. Measure out all dry seasoning ingredients onto a plate, and then mix together with a spoon. This makes 6 tbsp. of dry ranch seasoning mix. Take 2 tbsp. of this seasoning mix and set aside until ready. The remaining 4 tbsp. 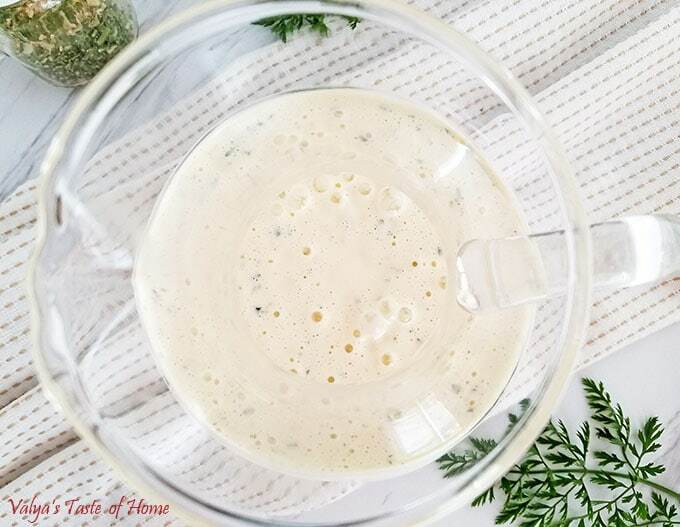 of dry ranch seasoning mix can be stored in any container and kept in a dry place (your spices cupboard or pantry for the next 2 batches of ranch). 2. 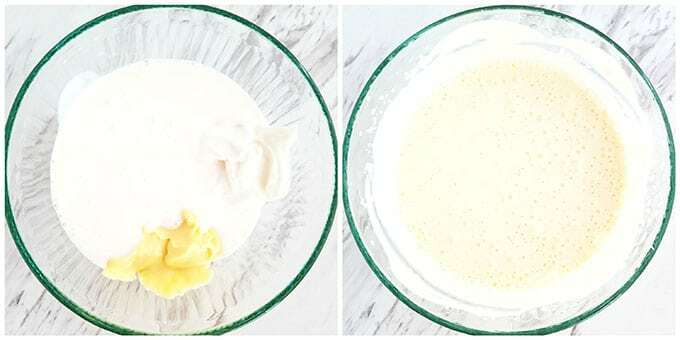 Combine buttermilk, homemade mayonnaise and Greek yogurt in a small bowl. Beat with a hand mixer for a minute. 3. Add reserved 2 tbsp. of dry ranch seasoning mix. Mix it well with a hand mixer for another minute. 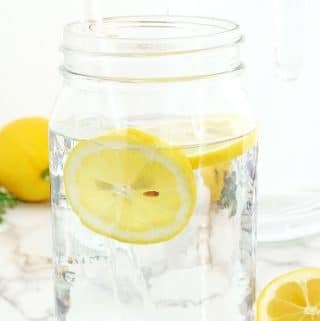 Transfer into a ranch glass bottle and let it sit in the fridge for at least 4 hours before use (so all the ingredients have time to incorporate). Use it within 2 weeks. Shake well before each use. 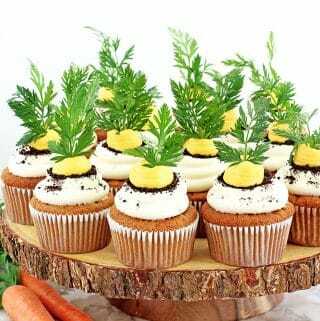 Enjoy the freshness and taste of the homemade goodness! I prefer homemade ranch. 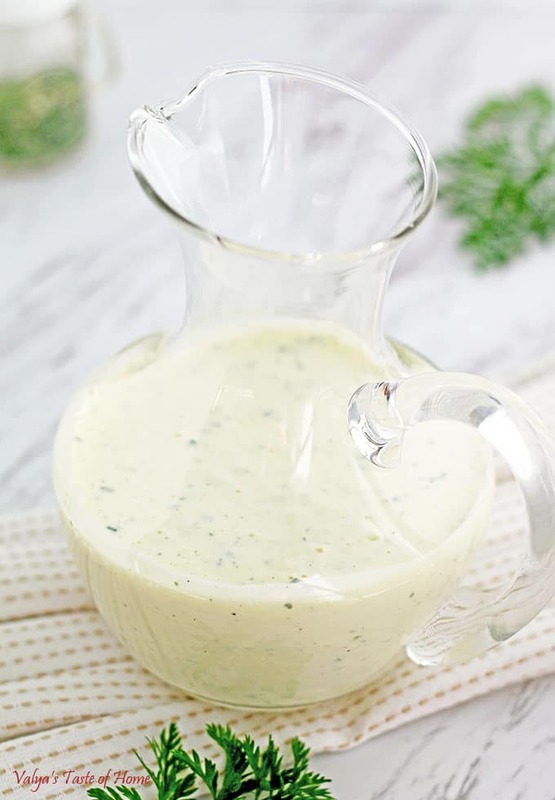 I am sharing this recipe with you all, so you may enjoy this tasty and fresh dressing on your salads, dips, etc. Made just out of few simple ingredients but tastes amazing. No factory-infused chemicals, preservatives and no artificial flavors. 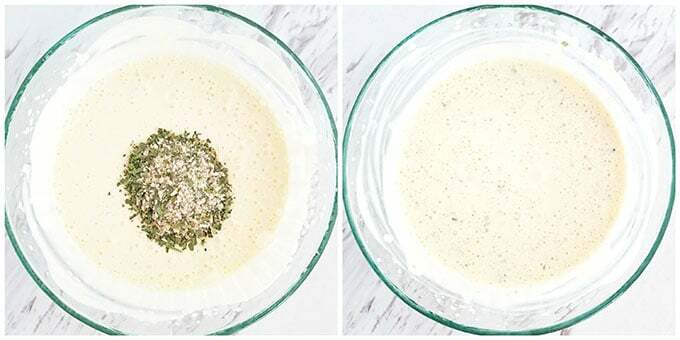 This dry ranch seasoning mix is enough for 3 recipe portions. In other words, you can make this recipe 3 times from the amount this recipe produces. 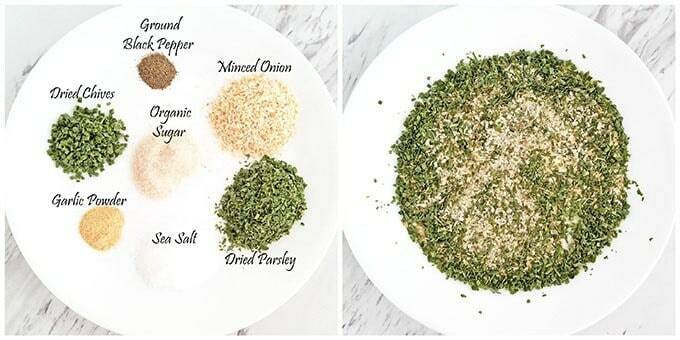 Measure out all dry seasoning ingredients onto a plate, and then mix together with a spoon. This makes 6 tbsp. of dry ranch seasoning mix. Take 2 tbsp. of this seasoning mix and set aside until ready. The remaining 4 tbsp. 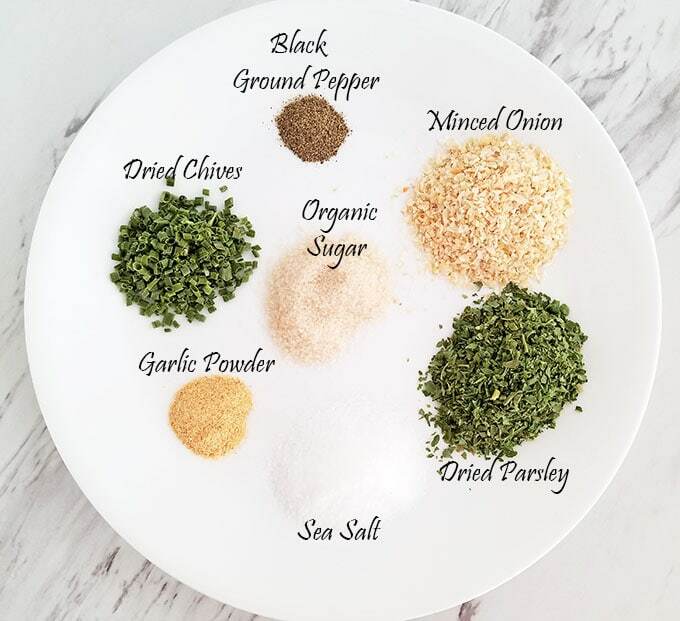 of dry ranch seasoning mix can be stored in any container and kept in a dry place (your spices cupboard or pantry for the next 2 batches of ranch). 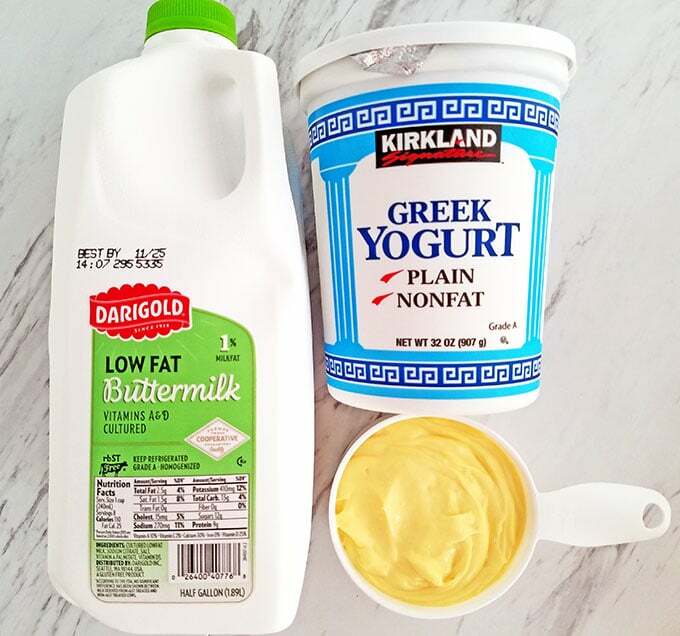 Combine buttermilk, homemade mayonnaise and Greek yogurt in a small bowl. Beat with a hand mixer for a minute. Add reserved 2 tbsp. of dry ranch seasoning mix. Mix it well with a hand mixer for another minute. 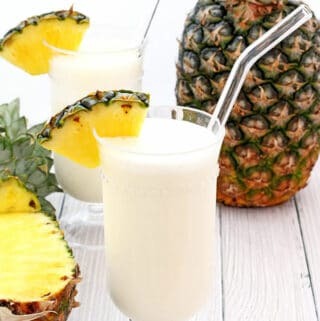 Transfer into a ranch glass bottle and let it sit in the fridge for at least 4 hours before use (so all the ingredients have time to incorporate). Use it within 2 weeks. Shake well before each use. You are very welcome Elina! 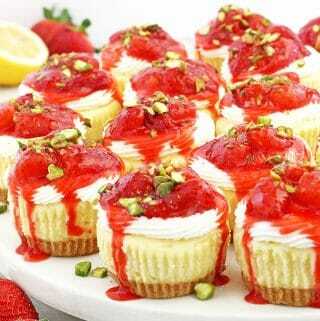 I am happy to know that you found the recipe you were looking for on my blog. Enjoy! Should the texture turn out runny or a bit on the thicker side? 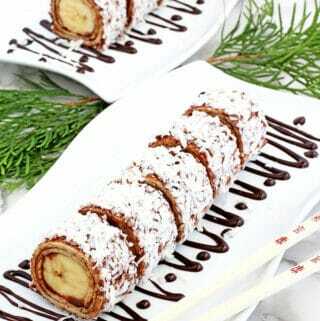 The texture is little runny after you make it, but it thickens more after refrigerating. Then the texture turns out similar to the thickness of a store bought ranch. I hope this helps. I am in LOVE with this dressing! Such a perfect spice combo ! Can’t compare with store bought ! Thanks a lot for sharing. Wow!! I made this today and was super impressed! So much better than the bottled version, and that says a lot as I’m a huge ranch nut. Thanks so much for a fantastic recipe!